Finding your way has never been easier… but yet many of us still struggle to get where we are going. Cycling to work for the first time can be quite daunting and taking the time to find the best routes will enrich your ride time no end. When starting out, it may be tempting to go in the straightest line possible from home to work. However, it is worth thinking through your route more carefully. The most direct route is often the main road – not the most pleasant place for someone new to cycling, and it may also be very hilly. There may be a more roundabout route that takes in some scenery, is on mainly flat paths and quiet roads and goes past a great pub on the way home. However, finding the best cycle route takes a bit of effort. 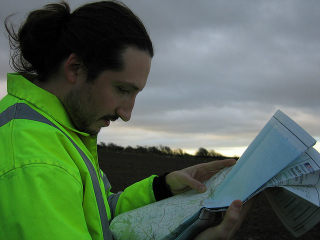 The best way to plan is by looking at a paper map or the numerous maps available online, or even as phone apps. This will give you an overview of the main routes you could take to your workplace. Take a look at our guide to the best cycle mapping on the web. Maps are fine things but impossible to follow properly when speeding along on a bike.The first time you try a new route out it’s best to do it when you are not in a hurry, preferably at the weekend or well in advance of your workday. This way you will have plenty of time to stop and check you’re on the right track. It’s hard to tell which is the best route until you have tried them on your bike. A map won’t tell you exactly how steep the hills are or how much traffic there is on a particular road. It’s also a great chance to get to know your town or city.You may think you know your local area but after a couple of weeks on your bike you will be even better acquainted with the small streets, paths and shortcuts. Don’t be a slave to the map. If you see what you think could be a neat shortcut, try it! It may be a dead end but it may be a brilliant cut through. This is why cycling is so good for getting to know the streets. Cyclists tend to be friendly, approachable people, so why not ask other people you see riding in where they come in from and which route they take. They may give you some great advice and might even let you come in with them. You don’t have to stick to the same route day-in-day out. Do a bit of exploring and you can work out two or three different ways to add a bit of variety. Maybe a route home past a decent pub, or a scenic route for those long summer evenings. There are hundreds of cycle route planner websites out there online. Some cover specific areas, and the websites vary in quality and how easy they are to use. 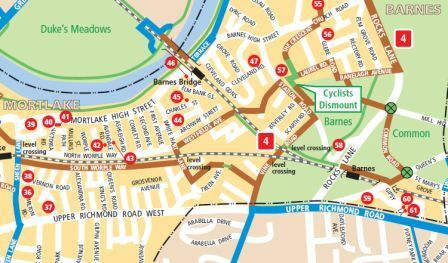 We have reviewed the route planners available and here’s our free guide to the websites we’ve found most useful to help us find our way when riding to work. 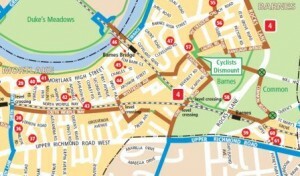 Sustrans Shows all the official cycle routes across the UK and how they link up with public tranport. Cyclestreets This new project maps routes on quiet or busy routes, gives journey times and even calculates calories burnt. Transport Direct This service is a multi-journey planner allowing the user to compare car and public transport. There is a decent cycle journey planner too but unfortunately it’s not integrated. In the wake of the introduction of Barclays bikes in the capital, the Transport for London website has vastly improved its route planner for cyclists. Choose start and finish points and choose your level of riding ability, and required speed of journey. Please let us know at [email protected] if there are any useful cycle route websites for your area.